Dive Safaris to Sumilon & Apo Island: Explore some of the very best dive sites of the Philippines with a 2-day dive safari from Moalboal. On the first day we start at the dive center in Moalboal and drive along the wonderful coastal road to Liloan in South Cebu, Philippines. The ride take about 1 ½ hours. After arrival we have some snacks while our crew loads our dive equipment on a boat. Off we go on a cruise to Apo Island, it takes about another 1 ½ hours until we arrive at one of the most beautiful dive spots in the Visayas. Here we conduct 2 dives, have lunch in between, a stroll on the island and then head back to Liloan. On arrival we conduct a late afternoon dive at Liloan. After that we check-in in a nice beach resort, where we spend the night, you can request an add on night dive here if you wish. The next day, after breakfast, we head over to Sumilon Island Marine Park, just 30 minutes away. 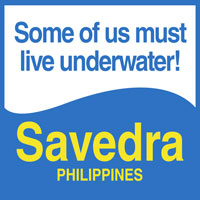 There we conduct a beautiful morning dive, following this a whaleshark dive with the gentle giants of Oslob. After lunch at the resort your car will be waiting to bring you back to Moalboal. If you wish you can add on a direct transfer to anywhere on the Island of Cebu, including the airport or ferry terminal, or we can arrange a ferry and car transfer to anywhere in the opposite island of Negros. This is a fantastic way to use this trip as a stepping stone from Moalboal, to anywhere else in the Philippines. Please see here for the latest Safari and Equipment prices, please note for this trip all marine park fees are included.